The MFSA offices in Mrieħel. 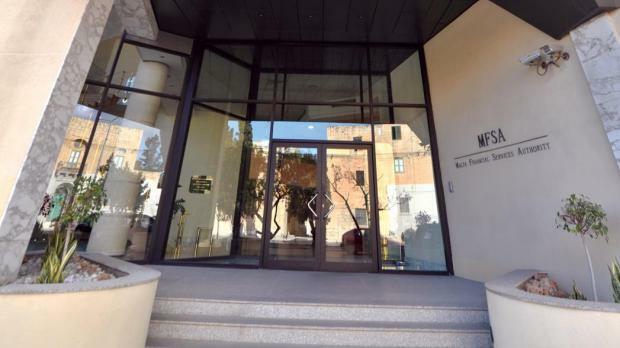 The International Consortium of Investigative Journalists will add data from Malta's corporate registry to their offshore leaks database on Wednesday. Although the Malta Financial Services Authority runs its own searchable database, which is available upon registration, it does not allow for specific searches of company directors and shareholders. The ICIJ's offshore leaks database will allow such searches, making it easier to find the individuals linked to Maltese companies. The latest available data will be until the end of 2016. NGO Global Witness said that putting the names of directors and legal shareholders in the public domain was an essential first step towards transparency. Malta's registry data led to many stories forming part of the Paradise Papers leaks. Malta was found to play host to companies linked to celebrities like singer Shakira and Formula One driver Lewis Hamilton (https://www.timesofmalta.com/articles/view/20171106/local/paradise-papers-show-link-between-f1-champions-cash-and-malta.662446), who used Malta’s favourable regime to legally reduce their tax bills. U2 frontman Bono was found to be a shareholder of a Malta-based company used to buy a shopping centre in Lithuania. The company was later transferred to Guernsey, a jurisdiction that doesn’t charge tax on corporate profits. After a tax investigation in Lithuania, the company agreed to pay back €53,000 as well as a fine. Bono subsequently cut his ties with the company. Malta narrowly survived being labelled a tax haven in a European Parliament report last December, in an amendment to a report proposed by Socialist MEPs. Charity Oxfam has also called for Malta to be placed on the tax haven list. Finance Minister Edward Scicluna has strongly rejected the label, insisting that Malta's tax regime is fully compliant with EU rules.